Not content with destroying coal in the United States, there are ongoing assaults on allowing U.S. companies to export coal. It’s one thing to destroy coal in favor of more expensive energy in an advanced economy where consumers have more disposable income to absorb the blow of rising energy costs, but to deny developing countries access to electricity is an absurd form of “liberalism.” See a recent GW.org post on similar plans at the World Bank to discontinue funding coal-fired power plants. China, on the other hand, has emerged as a leader in developing clean, renewable energy, but its demand for coal is still staggering, and growing, and China is predicted to build 2,200 new coal-fired electric plants by 2030. The report is full of suspicious economic analysis, like the idea that shutting down coal exports (economic activity) can somehow help our country reach long term prosperity because the funds could be used for investments to focus on diversifying our economy, whatever that means. Ending coal exports would somehow help our economy’s diversification. Note that coal exports would also help lower the trade deficit, which groups like CAP seem worried about. It’s not completely clear to me that the port being used for exports is being subsidized by any governmental bodies (hopefully its not), but they don’t specifically mention any subsidies, so I suspect its mostly being completed with private sector money. Perhaps the authors think our omniscient government should confiscate those private dollars and pick their own pet project instead. 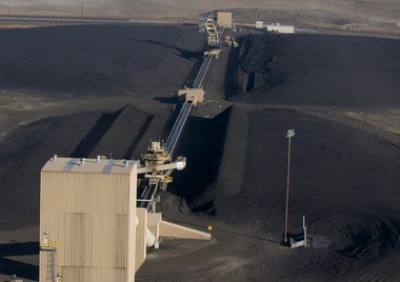 Though Washington state officials are considering the effects of climate-change-causing emissions stemming from shipping the coal across the western United States, there are no legal requirements to consider the carbon pollution from burning the coal half a world away. Can we also control the climate policies of other sovereign nations? Liberals have proudly discussed the possibility of a carbon tax on imports from countries that have not adopted emission reductions strategies, but they have yet to publicly propose an export ban or tariff on coal. Perhaps its in the pipeline. Breathe easy, Seattle. Coal exports will certainly be helping some of the 1.4 billion people on this earth who don’t have access to any electricity at all.